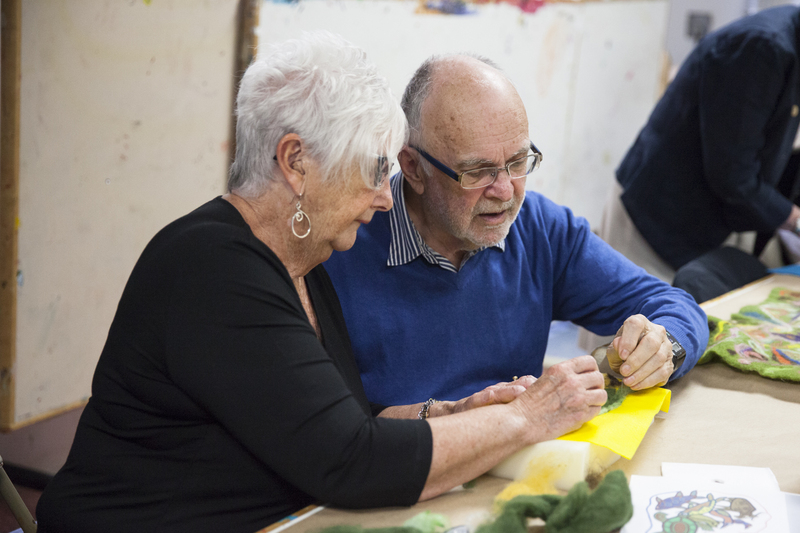 The Art Gallery of Nova Scotia is proud to partner with the Alzheimer Society of Nova Scotia to offer a fun and creative program for people with dementia and their partners in care. 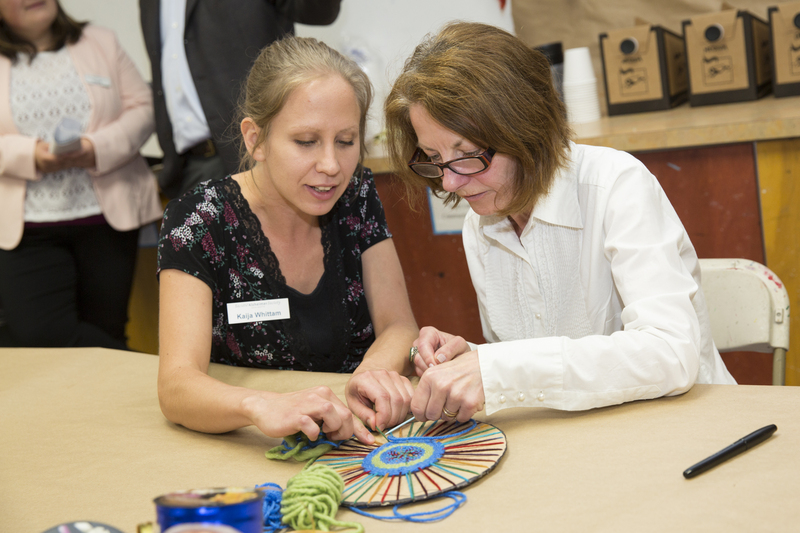 Artful Afternoon is a series of workshops, designed for both those with memory loss and their partners in care. 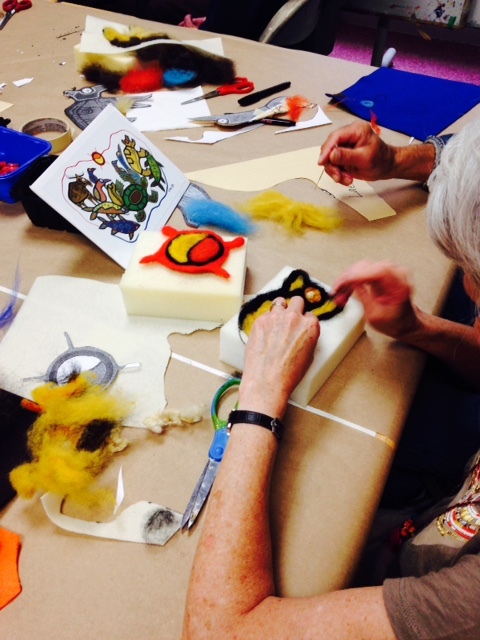 Participants are offered creative activities beginning with an interactive gallery tour led by the Art Gallery of Nova Scotia, followed by a hands-on studio activity led by artist Bess Forrestall. Staff from the partner organizations and volunteers work together with participants, encouraging the development of friendships and shared experiences. Modifications and support are given to all participants to encourage confidence, creativity, imagination and the development of artistic skills. “This program would not be possible without the financial support and expertise of our partners”, says Dale Sheppard, Curator of Education and Public Programs, at the Art Gallery of Nova Scotia. On June 23, 2015, the Alzheimer Society hosted the province’s Health Minister Leo Glavine at the Art Gallery of Nova Scotia. 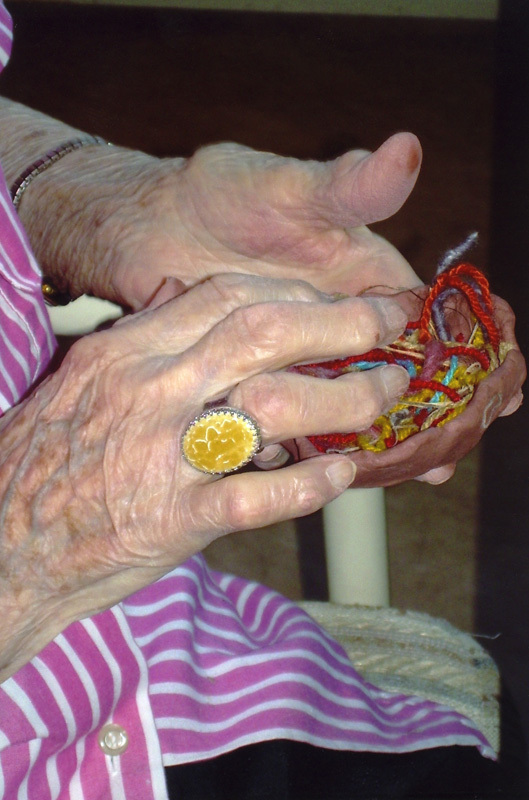 The Province announced the first-ever Dementia Strategy, making $579,000 available in the hope of allowing more people to live independently. 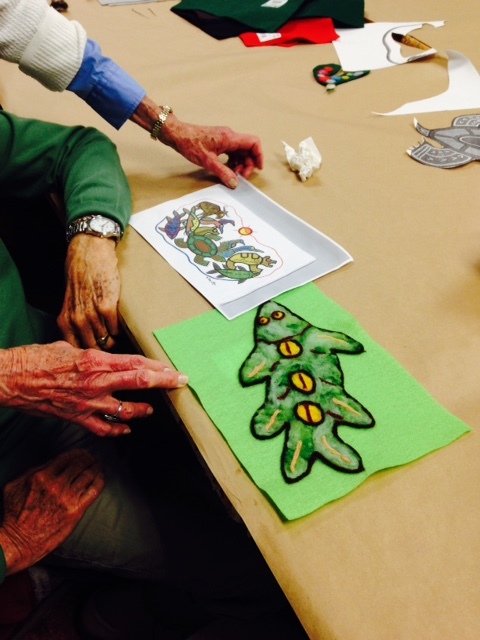 Artful Afternoon guests were on hand participating in creating their own art. There is no cost for this program but registration is required to join a session of workshops. To register, please contact the Alzheimer Society of Nova Scotia at (902) 422-7961.